Storybook Tree Services has been providing clients who are building a new home peace of mind with a plan to protect their trees within an Arborist Report made for the Town of Oakville. This is a plan ensuring the protection of existing trees on and adjacent to the property during construction. 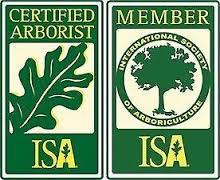 An arborist report starts with on site tree data collection completed by a certified arborist. This includes an evaluation of the trees health and condition and how it may be impacted by the construction. Arborist reports are frequently required by municipalities to comply with tree protection by-laws. When building a new home, renovating an existing structure, or landscaping the yard, a tree preservation plan may be required. A replant plan may also be required for the replacement of the tree that is being removed.